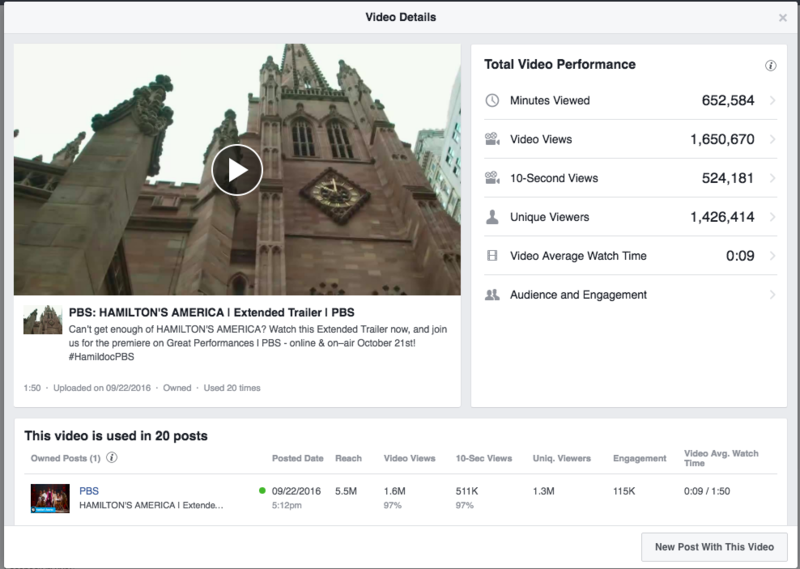 PBS has become a big proponent of crossposting videos in Facebook. Crossposting allows stations and producers to easily post video content without having to upload it -- they just use Facebook’s crosspost dashboard to create a post, which is already populated with a thumbnail, social share language (which can be customized) and hit publish. It’s a big time saver, and the total video views are accumulated together on the front-end. Details from Facebook on what crossposting is and how it works are here. Captions don’t travel with a video when it’s crossposted. We’ve talked with Facebook about this, and they are working on a fix, but the timeline for that is uncertain. PBS heavily encourages stations and producers posting video into Facebook to make sure it includes captions. We are in the process of setting up a centralized place for you to grab caption files. For now, you can search for captions for videos that PBS is making available here: http://to.pbs.org/facebookcaptionfiles. Stations and producers -- you are welcome to post your caption files here, too; email kdando@pbs.org to get upload access to this Box folder. As soon as a publisher enables a video for crossposting, it can be shared at that time, whether or not the original publisher has made it public. In short: do not enable crossposting for a video you unless you are fine with it being shared/published elsewhere. Take stock of the tags on the original post (and you did include tags, didn’t you?). If there are better tags that would fit your community (while still relating to the video), add or subtract them. Although we’ve lobbied stations to whitelist PBS to make it possible for us to make crossposted videos available to them, only a small minority of stations have done it. Please whitelist PBS and the producers of all PBS major series in the crossposting dashboard! We want to create a place where PBS, stations and producers can let each other know of videos that are available for crossposting. We’re going to experiment by creating a new post/note each week in the PBS Producers & Local Stations / Social Media Marketing & Communications Facebook group to detail these videos as they become available. If you can devise a better way to do this, please let us know. If you have any questions, please let us know! PBS will be sharing additional updates and examples about this functionality soon. Please reach out if your station has a unique use case or success to share.